Fancy Tiger Crafts: Maenad KAL at Fancy Tiger Crafts! Jaime and I fell in love with Carol Feller's Maenad shawl when she recently came to the store for a trunk show. This lace edged shawl is extra long, perfect for wrapping a couple times around your pretty neck, or just draping over the shoulders. 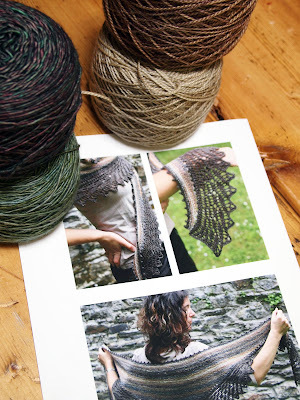 We would love for you to join us in our Maenad KAL! We will be casting on next Tuesday, June 26th at Craft Night. Come into the shop for your supplies and receive 15% off your yarns with the purchase of the Maenad pattern. 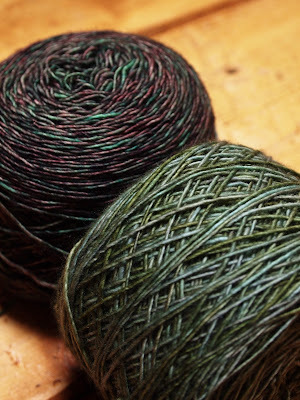 Jaime chose two colors of Madelinetosh Light--Cosmos and Lowlands--for her Maenad. 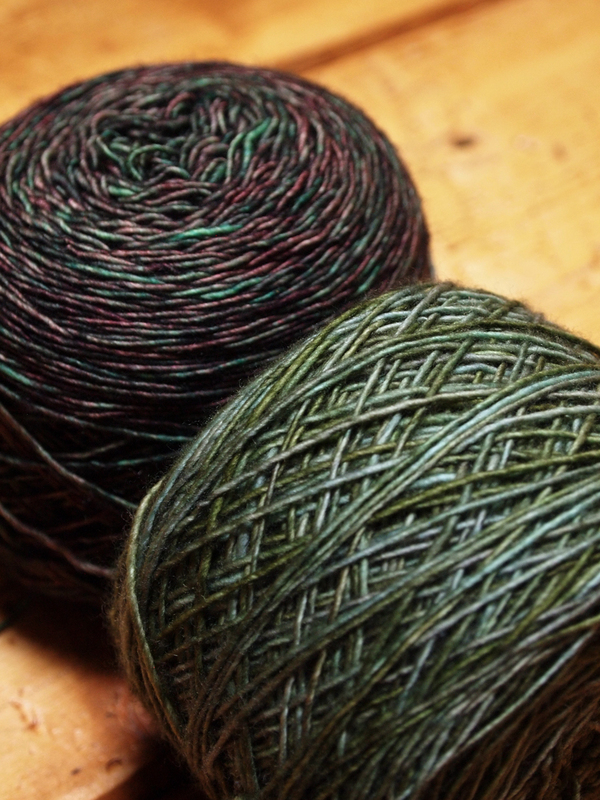 The depth of color in this yarn makes us swoon. I picked up two earthy hues of Sebastian by Anzula at their trunk show last night! 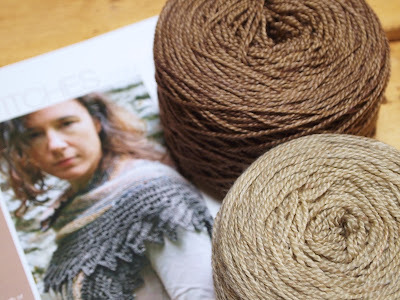 I'll be knitting my Maenad in the colors Clay and Shiitake. Sebastian has a wonderful nubby, silky texture thanks to a blend of Seacell and Merino fibers. You can look forward to this pretty yarn being available in the store in August!